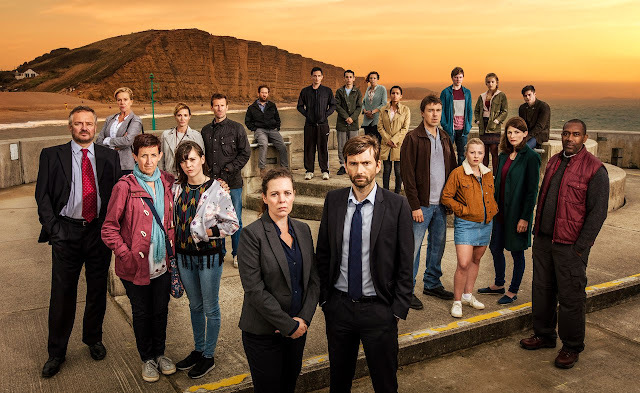 Broadchurch has won a prestigious award in C21’s International Drama Awards, which are voted for by the world’s leading scripted commissioners and buyers. It was announced at last night's ceremony that that it had scooped the award in the Best Returning Drama Series category against the likes of Humans, Top Of The Lake: China Girl and Ordinary Lies. Of the series C21Media say "Broadchurch’s third and final chapter built on and added to the previous seasons’ domestic and worldwide success and helped define ITV as a home for quality drama. The extensively-researched crime drama tackled the difficult and important subject of sexual assault. Boosted by authentic performances and a beautifully cinematic landscape, Chris Chibnall’s distinct poetic vision captivates, thrills and entertains." The annual awards feature 572 entries across 11 categories, with C2Media stating that "the finalists reflect the prolific drama output over the past 12 months". The Highway Rat starring David Tennant will air in the afternoon of Christmas Day on BBC One. The enchanting half-hour animated special brings to life another magical world from the UK’s number one picture book duo, Julia Donaldson and Axel Scheffler, the team behind The Gruffalo, Stick Man and Room On The Broom. The feature is created by the Oscar nominated producers Magic Light Pictures. The festive family highlight will be voiced by a stellar cast of British acting talent: joining David, who voices the wicked titular rodent, are Rob Brydon as the narrator, Nina Sosanya as the Duck, Tom Hollander as the Squirrel and Frances de le Tour as the Rabbit. First published in 2011, The Highway Rat is about a ravenous rat who craves buns, biscuits and all sweet things. Tearing along the highway, he searches for sugary treats to steal, until his sweet tooth leads him to a sticky end. The whole family will enjoy this swashbuckling tale of bandits and biscuits! 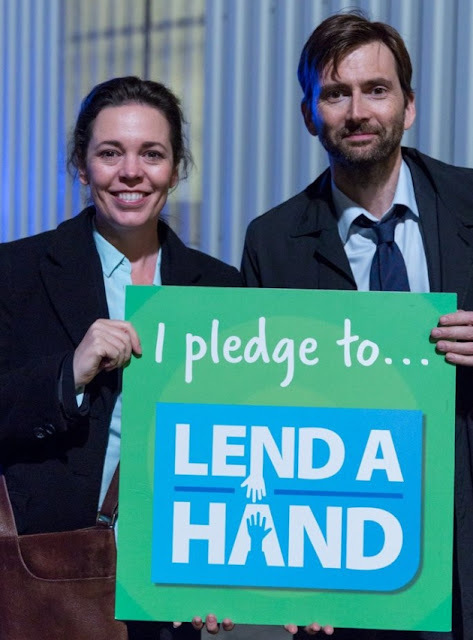 During filming of the final series of Broadchurch in Clevedon, Somerset last year, David Tennant and Olivia Colman took a moment off set to raise awareness of a local campaign aimed at supporting vulnerable people over winter. The North Somerset Community Partnership's Lend A Hand campaign is now in its fourth year and encourages people to check up on older or vulnerable neighbours and relatives to make sure that they have plenty of food, drink and medication and are not in ill health. The Partnership's chief executive says that the voluntary support can make a huge difference to the lives of the elderly and infirm and can help to ease the pressure on health services at a difficult time of year. The designs we've chosen are available at a reduced price until Monday 4 December with T shirts for just $14 / £10.80 each! (Normal RRP $20/ £15.80) That's a whopping 30% off for readers of our site. 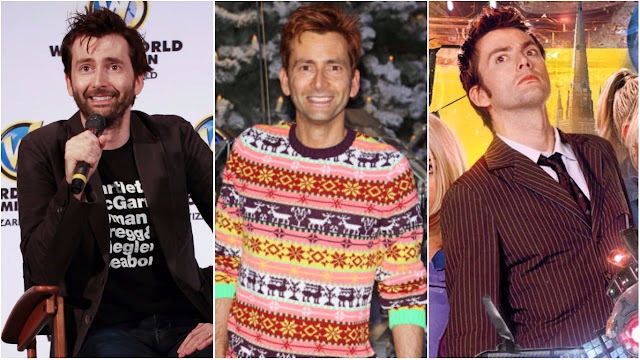 As we announced last week, David Tennant will be attending Wizard World New Orleans next year, appearing on Friday 5th and Saturday 6th January. In addition to David's solo photoshoots, the organisers are giving lucky MCU fans a chance to have a special dual photo opportunity with David and Marvel Comics legend Stan Lee. 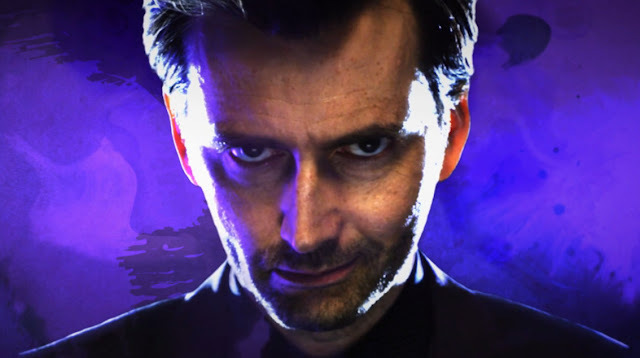 David starred as the mind-controlling villain Kilgrave in Jessica Jones, the Netflix adaptation of the Marvel MAX comic book series Alias. 900 Convention Center Blvd., New Orleans, LA 70130. Other guests include Henry Winkler, Nichelle Nichols, Summer Glau, Jon Heder and Ian Somerhalder. 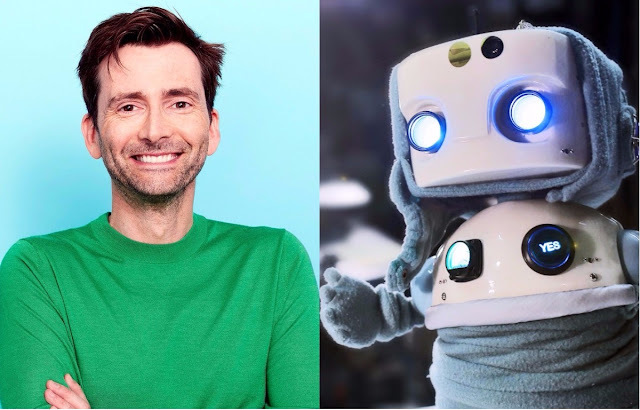 Watch David Tennant narrate the documentary, How To Build A Robot tonight on Channel 4 at 10.35pm. It is part of Channel 4's season dedicated to the revolutionary advances in robots and artificial intelligence, Rise Of The Robots. As walking, talking robots look set to join us in our workplaces, in our homes … and maybe even our bedrooms…the season explores what this future will look like, and how can we make the most of it. 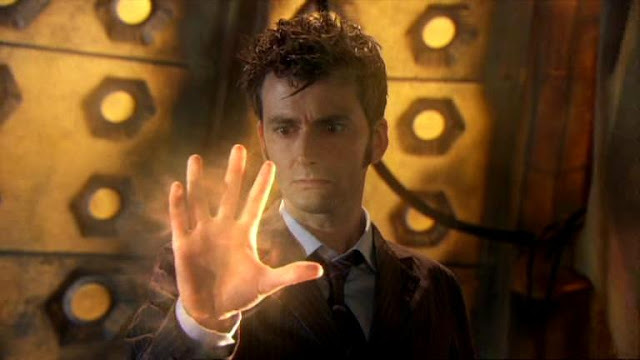 The collection includes a treat for Doctor Who fans - to mark Peter Capaldi’s last appearance as The Doctor, fans can enjoy every regeneration episode of Doctor Who from 2005 onwards - including David Tennant's first appearance in Parting Of The Ways, the Tenth Doctor's regeneration in The End Of Time and the 50th anniversary episode, The Day Of The Doctor. Also available are series 3 and 4 of Sherlock, award-winning dramas Wolf Hall and Happy Valley, entire series of Miranda and Inside Number 9 and family favourites The Gruffalo and Gangsta Granny. These and many more classic shows will be available on BBC iPlayer from 16 December. 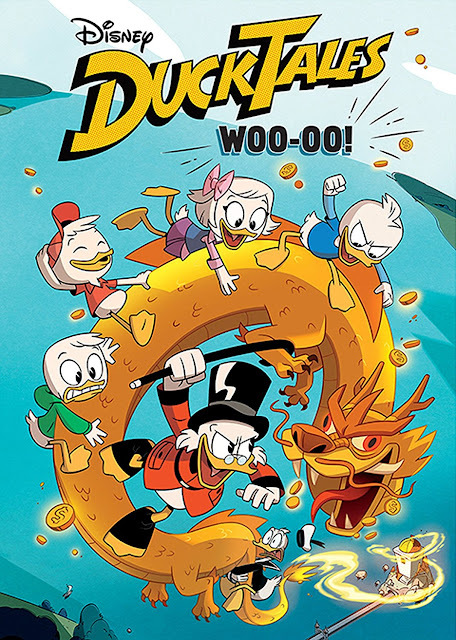 The first episode of Disney XD's DuckTales is scheduled to be released on DVD in the USA and Canada on Tuesday 12th December. The 45 minute episode Woo-oo! launched the reboot of the classic 80s Disney cartoon, introducing the adventuring Duck family to a whole new generation. 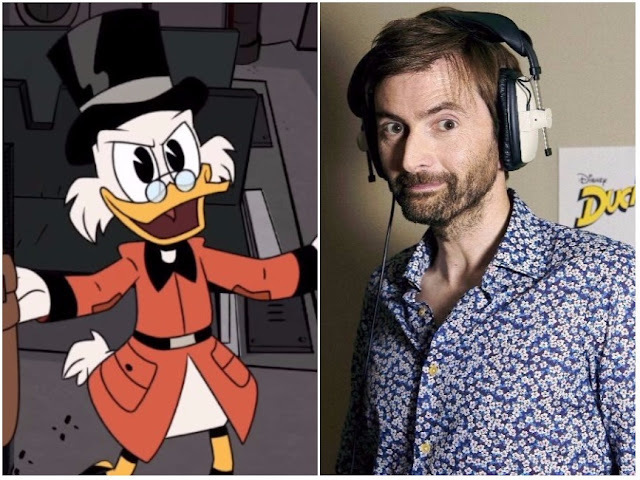 David Tennant stars as Scrooge McDuck, with Danny Pudi, Ben Schwartz and Bobby Moynihan as his three great-nephews Huey, Dewey and Louie. Joining them are Kate Micucci as Webby Vanderquack, Toks Olagundoye as Mrs Beakley, Beck Bennett as Launchpad McQuack, Tony Anselmo as Donald Duck and Keith Ferguson as Flintheart Glomgold. 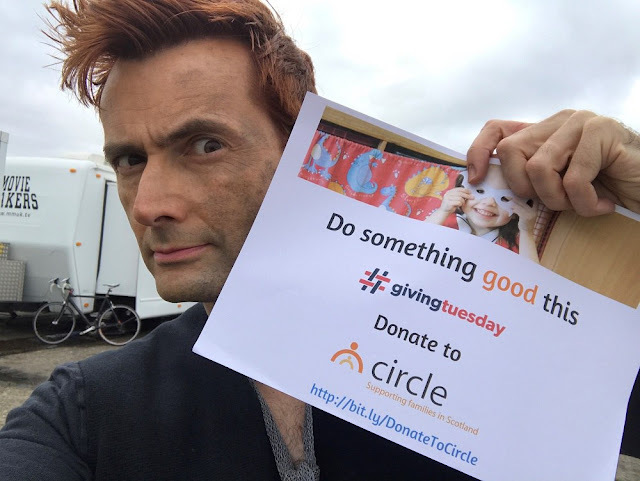 This GivingTuesday David Tennant is showing his support for Circle. The charity works at the heart of deprived communities across central Scotland and aims to support the most disadvantaged and difficult-to-engage children and families, to improve their lives, to promote their healthy potential and development and to build their resilience. David, who has been a patron of the charity since 2005, said of working with the charity: "I was blessed with a safe and happy childhood. It is unacceptable to me that any child in Scotland should grow up in poverty or neglect. I am delighted and honoured to be supporting Circle in Scotland as they spread their invaluable work across the country." 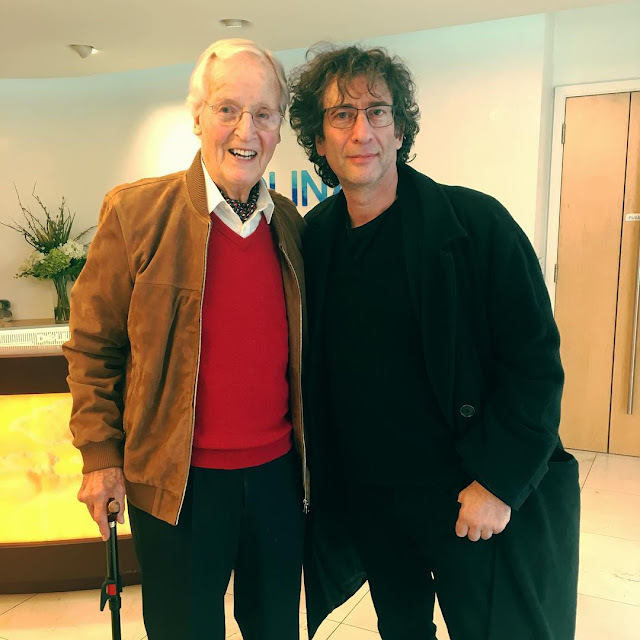 A month ago, Nicolas Parsons joined Good Omens showrunner Neil Gaiman in a recording studio in London to record "...a secret thing" for the six part fantasy drama. The BBC has now revealed that Nicholas' role is no less than the voice of God! Neil said of working with the veteran entertainer, "He’s 92 and genial, professional and still sharp as a claw." Correction: Neil Gaiman has since stated that Nicholas will be playing "...the Voice of Nicholas Parsons." Based on the comedy novel written by the late Terry Pratchett and Neil Gaiman, who adapted it for TV, Good Omens stars David Tennant as a fast living demon called Crowley and Michael Sheen as a fussy angel called Aziraphale who join forces to avert the Apocalypse. The star-studded cast also includes Josie Lawrence, Jack Whitehall, Daniel Mays, Sian Brook, Michael McKean, Adria Arjona, Miranda Richardson and Nina Sosanya. The third and final chapter of Broadchurch will be added to Netflix in the USA from today following its TV premiere on BBC America earlier this year. 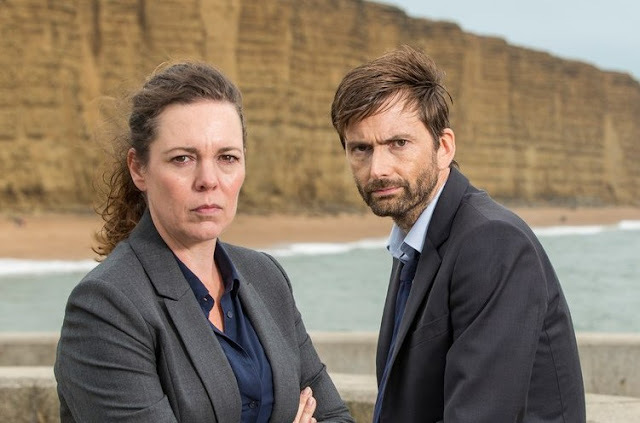 Season 3 of the UK’s acclaimed crime drama sees the detective duo Detective Sergeant Ellie Miller (Olivia Colman) and Detective Inspector Alec Hardy (David Tennant) investigate a serious sexual assault that shocks the tight-knit seaside town to its core. Jodie Whittaker and Andrew Buchan return to play Beth and Mark Latimer; also Arthur Darvill returns as local Vicar Paul Coates, Carolyn Pickles as newspaper editor Maggie Radcliffe and Adam Wilson as Ellie’s son Tom. They are joined by National Television Award winner Julie Hesmondhalgh, BAFTA winners Lenny Henry and Georgina Campbell along with Sarah Parish, Charlie Higson and Mark Bazeley. Creator Chris Chibnall has once again written and executive-produced the latest season which was filmed in the now familiar Broadchurch locations of Bridport, West Bay and Clevedon. Don't Miss Out On These Doctor Who Cyber Monday Deals! Thanks to our friends at TeePublic.com you can stock up for Christmas with some BIG savings on Doctor Who merchandise for you and your Whovian friends and family. There's a whopping 30% off merch today only so don't miss out. Simply click here to browse the huge selection of Doctor Who tees, hoodies, mugs, tote bags, phone covers, wall art, baby clothes, stickers, note books and more! And when we say HUGE we mean HUGE!! There's THOUSANDS of designs to choose from!! And as if that wasn't enough anyone who buys from our Doctor Who store between 11/23 until 11/28 is automatically entered to win $50 worth of Doctor Who merch. Three winners will be announced next week!! TeePublic ship worldwide so don't miss out!! Here's a selection of what you can buy in today's sale! Doctor Who NEW! This Week's Doctor Who T-Shirt Collection! DOCTOR WHO: Big Finish Release Tenth Doctor & Rose Audio Adventures On 23rd November COMIC RELEASE: Doctor Who: The Tenth Doctor - New Issue Out Today DOCTOR WHO: Big Finish Release Tenth Doctor & Rose Audio Adventures Today Black Friday Comes Early With These Doctor Who Deals! PLUS Your Chance To Win Big! Rusty Squid, the groundbreaking robotics artists featured in the new David Tennant-narrated documentary How To Build A Robot, have released a new preview clip of the programme. 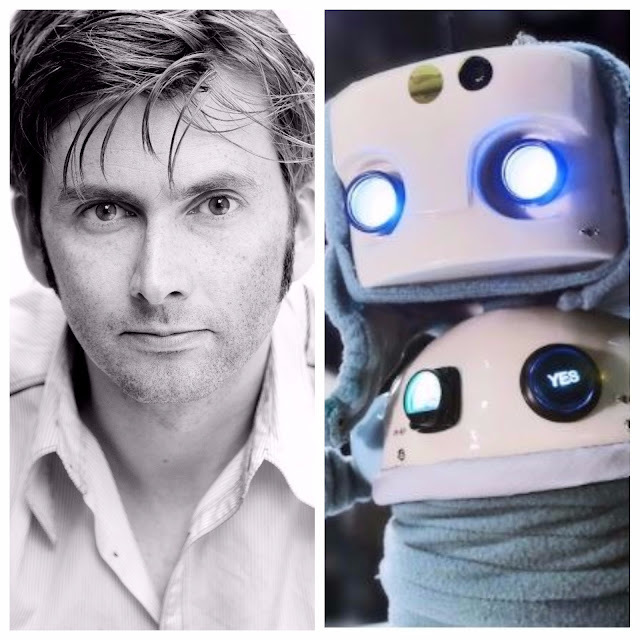 Join David on Wednesday night to find out what happens when puppeteers, designers and engineers join forces to create a prototype robot, who exists to make an emotional connection with humans? Disney XD has given a tiny sneak peek at the next episode of DuckTales ahead of its December return to TV schedules in the USA and Canada. The animated series will be back on December 2nd as part of Disney / ABC's expanded '25 Days Of Christmas' annual programming event. In the new episode, The Impossible Summit Of Mt. Neverrest, Scrooge and Huey are determined to be the first to set foot atop an impossible summit, but the snow-capped mountain holds a treacherous secret that tests both their will power and survival skills. 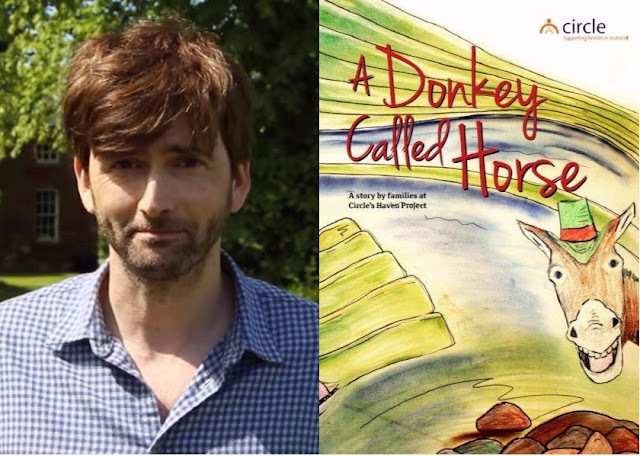 David Tennant has continued to show his support for Scottish charity Circle by providing the foreword to a new book created by some of the children and parents supported by the organisation. David has been one of the patrons of the charity for many years. Over the course of week during summer 2017, local families took part in a Storytelling Week at Circle's Haven Project in Edinburgh, supported by children's author Mike Nicholson and local artist Angela Austin. During this week they created a book, A Donkey Called Horse, which will be launched at a special event in Edinburgh on 1st December. David Tennant guest stars in a new episode of Thunderbirds Are Go, airing on ITV on Saturday 9th December. 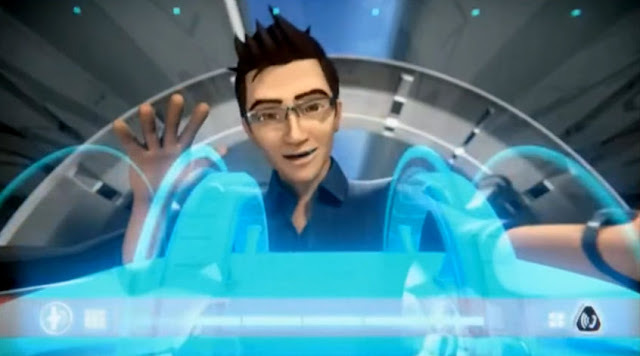 He voices billionaire inventor Tycho Reeves in Series 2 episode Hyperspeed as the reboot of the classic kids' TV series continues its run of Saturday morning prenieres. When the first run of an inventor's newly-constructed hyperloop begins to malfunction, Scott must try to find a way to slow down the fast-moving ride. Thunderbirds Are Go is a remake of the 1960s television series Thunderbirds created by Gerry and Sylvia Anderson that follows the exploits of International Rescue, a secret life-saving organisation equipped with technologically advanced rescue craft for sea, land, air and space rescue. Central to the organisation's work is a fleet of five vehicles named the Thunderbirds, each piloted by one of the Tracy brothers. 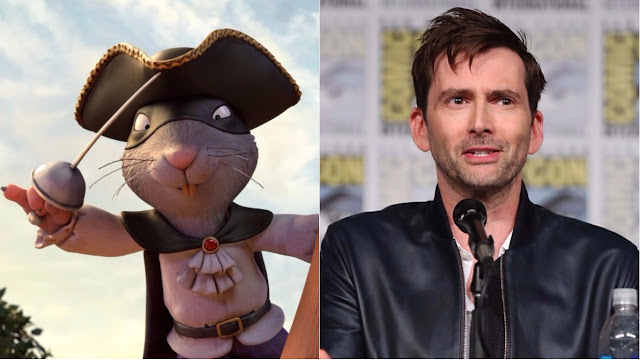 If you live in the Hull or Newcastle areas of the UK, don't miss your chance to be one of the first to see David Tennant's new animated special, The Highway Rat. The half hour programme will be one of three Christmas premieres that the BBC will be touring round the north of England with a series of free screenings during December. The tour also includes brand new episodes of comedy series The League Of Gentleman and a much coveted first look at the Doctor Who Christmas Special, Twice Upon A Time, which will see Peter Capaldi take his final bow. The tickets will be available through a ballot which will be open from today for the next 10 days via the BBC Shows and Tours website will be allocated via a random draw with 75% going to local postcodes and 25% to the rest of the UK. Black Friday Comes Early With These Doctor Who Deals! PLUS Your Chance To Win Big! There's a whopping 30% off merch for Black Friday and the good news is the action starts today and runs right through until Monday! Simply click here to browse the huge selection of Doctor Who tees, hoodies, mugs, tote bags, phone covers, wall art, baby clothes, stickers, note books and more! And when we say HUGE we mean HUGE!! There's THOUSANDS of designs to choose from!! New Karen Hallion Doctor Who Merchandise!